Most people have, at some time of their life, run afoul of an ornery dog or cat. Most animal bites will be puncture wounds; these will be relatively small but have the potential to cause dangerous infections. Although many Preppers are wary of vaccines, it may be appropriate to make sure that everyone in your group has had a tetanus shot. 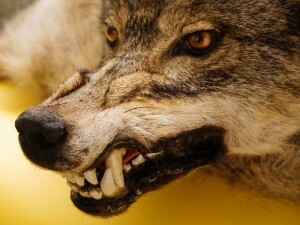 Most animal bites affect the hands (in adults) and the face, head, and neck (in children). Domestic pets , such as cats, dogs, and small rodents are the culprits in the grand majority of cases. Dog bites are usually more superficial than cat bites, as their teeth are relatively dull compared to feline bites. Despite this, their jaws are powerful and can inflict crush injuries to soft tissues. Cats’ teeth are thin and sharp, and puncture wounds tend to be deeper. Both can lead to infection if ignored, but the cat bites inject bacteria into deeper tissues and seem to become contaminated more often. Although healthy people can be made very ill by animal bites, you are most at risk for serious damage if you are elderly, diabetic, immunocompromised (transplant patients, AIDS victims, etc. ), or have liver disease. How Dangerous Are Animal Bites? Rabies: Viral disease spread by raccoons, skunks, bats, opossums, and canines. Pasteurellosis: Bacterial naturally present in the mouths of both dogs and cats. Yersinia Pestis: Bacterial disease associated with rats and fleas; otherwise known as the “Plague”. Tuberculosis: Bacterial disease associated with deer, elk, and bison. Brucella: Bacterial disease associated with bison, deer, and other animals. Hantavirus: Viral disease caused by mice. Baylisascaris (raccoon roundworm): Parasitic disease associated with raccoons. Histoplasma: Fungal disease associated with bat excrement (guano). Tularemia: Bacterial disease associated with wildlife especially rodents, rabbits, and hares. Whenever a person has been bitten, the first and most important action is to clean the wound thoroughly after stopping any bleeding. Benzalkonium Chloride is the best antiseptic to use in treating animal bites, because it has some effect against the Rabies virus. Frequent irrigation (flushing out) with dilute antiseptic solutions like Betadine or even sterilized water will be important to prevent infection. Be sure to watch for signs of infection such as redness, warmth, and swelling in the wound area. Pain that increases with time is another warning sign. General signs of infections such as fever are also red flags that further treatment is warranted. Antibiotics may be appropriate in many cases. 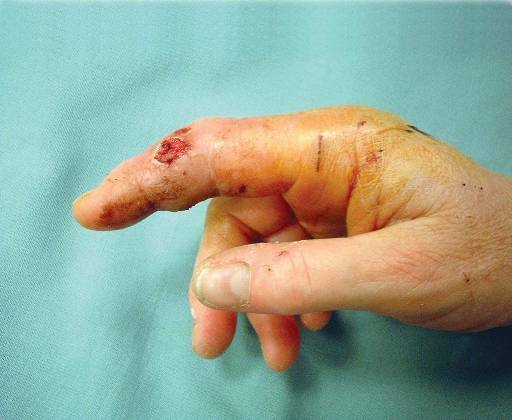 If the bite is on the hand, any rings or bracelets should be taken off; if swelling occurs, they may be very difficult to remove afterwards. Given the risks, it would be wise to consider preventive measures. Stay away from stray or wild animals, and especially from animals protecting their young. Wear long pants and high-top boots when walking in the wilderness and carry a good personal carry first aid kit. Rabies is a dangerous but, luckily, uncommon disease that can be transmitted by an animal bite, especially those from wild animals such as raccoons, opossums, skunks, coyotes, etc. Any animal bite should be considered a “dirty” wound, and should not be taped or sutured. In the United States, there has never been a rabies case transmitted by the following animals: domestic cattle, squirrels, rabbits, rats, sheep or horses. Although this is a good thing, the severity of the consequences of a rabies infection can’t be underestimated. Once a person develops the disease, it is usually fatal. Vaccinations are available, and regardless of your opinion regarding them, it might be something to consider.